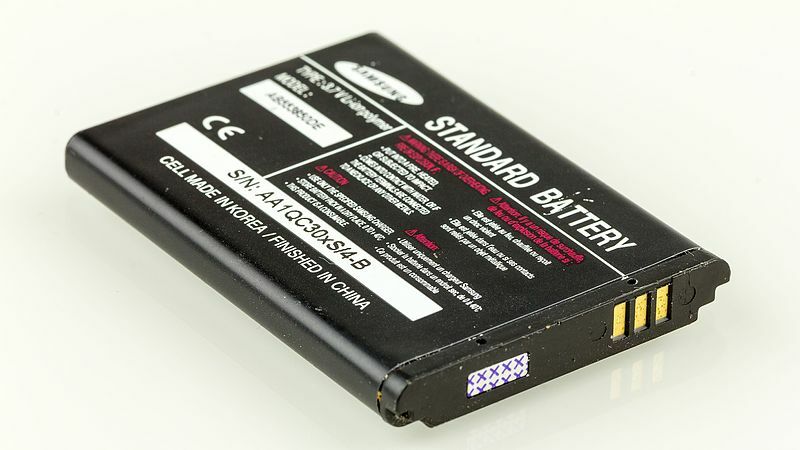 Lithium-ion batteries (LIBs) are the most popular power supply for portable electronic devices (such as mobile phones and computers) and electric vehicles. However, most of the commercial lithium-ion batteries are based on rigid inorganic materials, which are facing the challenges and shortcomings including low capacity, resource scarcity, undegradability, slow charging rate, and low cyclability. Now, a recent work led by Chengliang Wang, a professor at Huazhong University of Science and Technology (China) shows that this situation could be changed. By using a novel polymer (PPTS) as the cathodes and sodium as the anodes, Wang et al. reported that the cells could be fully charged in 7 seconds with a capacity of about 100 mAh g-1, even after being cycled 10,000 times. This capacity is on a par with those of the commercial cathodes cycled at a slow rate (e.g. hours of charging). The charged rate and cyclability, however, are comparable with those of supercapacitors. The sodium-based batteries have the advantages including resource abundance, low cost, environmental sources, and degradability. To achieve this, the researchers proposed that the extension of a π-conjugated system can enhance the electrochemical performance of cathodes, on the basis of previous studies on organic semiconductors and the success in organic anodes. The methodology is quite simple. The extension of π-conjugated system in polymers could: 1) enhance the charge transport; 2) enhance the intermolecular interactions that may lead to layer-by-layer π–π stacking. The layer-by-layer stacking will benefit the ionic transport; 3) stabilize the charged states and improve cyclability. Such an assumption has been proved to be efficient to small molecular anodes in one of their previous works (J. Am. Chem. Soc. 2015, 137, 3124). The researchers moved further and confirmed that this methodology is also applicable to polymeric cathodes. The resulting π-conjugated polymeric cathode material, PPTS, indeed exhibited layer-by-layer stacking with strong π–π intermolecular interactions. The high crystallinity is rarely reported in other polymers. The electrodes thereby showed high Na-ion diffusion coefficient of about 10-9 cm2 s-1. This value is very high in Na-ion batteries and also better than the Li-ion diffusion coefficient in many typical Li-ion batteries. The high polymerization degree guaranteed the insolubility of the polymers in the electrolytes, which is also prerequisite to high cyclability. Benefiting from these advantages, PPTS gave a reversible capacity of about 290 mAh g-1 at a current density of 100 mA g-1. Moreover, at a current rate of 10 A g-1, the capacity of PPTS was still as high as 160 mAh g-1 even after 5,000 cycles, corresponding to a full charge of only 56 seconds. Remarkably, at a current density of 50 A g-1 (7 s for a full charge), stable capacity up to 97 mAh g-1 could be achieved even after 10,000 cycles. The charging rate and cyclability are comparable with those of supercapacitors, but the capacity rivals those of typical Li-ion batteries at a slow rate. This work presents new insights into performance enhancement of organic sodium-ion batteries through molecular design, which will pave the way for organic sodium-ion batteries in large scale applications. These findings are described in the article entitled Tailoring π-conjugated systems: from π-π stacking to high rate-performance organic cathodes, recently published in the journal Chem. This work was conducted by a team including Prof. Chengliang Wang from Huazhong University of Science and Technology, Prof. Jing Ma from Nanjing University, and Prof. Erjing Wang from Hubei University.